Here's my card for this week's Splitcoaststampers Featured Stamper challenge, where our Featured Stamper is actually a scrapbooker! Congratulations, Beatrice - you have a wonderful gallery! I used WPlus9's Doodle Buds and Strictly Sentiments 1. I tried a very loose method of colouring with Copics (#thedailymarker30day). My very 'colour it properly' brain is struggling a little bit with the result, but I like it - it seems to go well with the sketchy feeling of the flowers. WOW, your really did great using the inspiration layout, Ardyth!!! Your card is so wonderfully cheerful and the bright colours are beautiful!!! Your colouring really looks great!!! A lovely card!!! Wow! Fabulous 'loose method' of Copic coloring. I was sure the images were stamped with the double stamp process! Great idea and bang-on take of the scrapbook page! Wow...just love your take on your card! Very pretty Ardyth, I like the bright happy flowers! 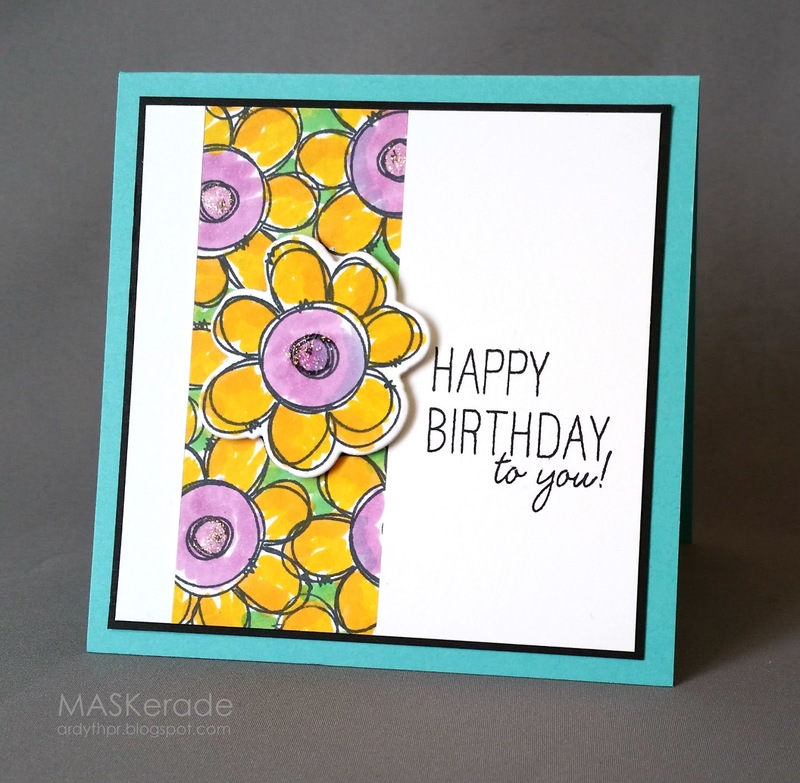 I love the flower as a background with a die cut one popped up. I may be CASEing this card.